As the Front Range heads into the first heat wave of the season, we know our plants will be thirstier and of course, we'll be watering them more. When we crank up the water, we should also be thinking of ways to use LESS of that precious resource. Give the plants the water they need and don't waste a drop. 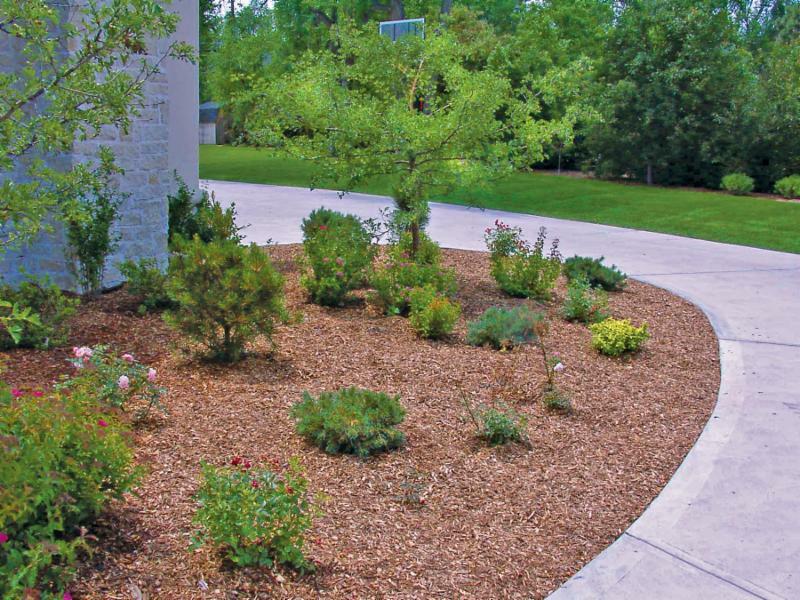 One way to save water and dress up the landscape in the process, is to top dress bed areas with mulch. And there is nothing better to use than fresh, 100% organic wood mulch. Many gardeners are moving away from rock dressings because of the difficulties of planting in it. Rock also holds heat and cold and does not work well for weed control without fabric underneath. Seasonal mulching decreases evaporation rates from the soil by as much as 35 percent, which makes for efficient water use. Mulching also suppresses weed growth. If there are fewer weeds in your yard, there are fewer plants competing with your landscape plants for nutrients and moisture. That's another water savings. A healthy layer of mulch insulates plants and helps protect their roots from the extreme temperature shifts we experience in Colorado. As mulch breaks down, it becomes nutritious organic matter, which promotes future healthy growth. Like frosting on a cake, mulch creates an even appearance across the landscape and provides year-round color, texture and interest. Mulches recycled from local pruning debris can be put back into the landscape as a healthy amendment. Locally-sourced mulch is a sustainable option by supporting the local economy and lessening the carbon footprint. Because it is derived from organic material, it settles onto the soil and does not blow away like mulch that has been recycled from treated wood products such as pallets. It must, however, first be watered in so that it settles. Over time, organic mulch breaks down and completes the cycle of returning to the earth from which it came.